Are you about to launch a new website? While you may not think it, now is the time to start implementing conversion rate optimization (CRO). If you associate CRO more with established sites, read on to find out how you can give your new launch the best possible chance of success. Conversion rate optimization (CRO) is something that is more commonly associated with established sites, as marketers look to eke out better performance and more conversions. However, this doesn’t mean that CRO shouldn’t be considered as part of the new website creation process. Here, we’ll look at some of the CRO essentials to keep in mind for new websites, helping you to get a head start on maximizing conversions from launch day and beyond. Nobody likes filling in dozens of boxes before being permitted to check out or subscribe to a list. As mobile browsing becomes the default for many consumers, keeping form design as concise and succinct as possible takes on a new relevance. When launching your new site, review the contact form, cart checkout fields and any other forms on your site with a critical eye. Eliminate unnecessary fields and keep the required fields to a minimum. While your cart form will need city, state and zip code fields along with a phone number and email, your contact form shouldn’t. Offer social media log-in if possible and turn on one-click ordering, so users find it easy to register and use your site without being forced to input row upon row of data. Trim excess fields from each of your forms where possible to set yourself up for strong conversions from day one. Your call to action is one of the most critical parts of your page and, testing it is a CRO essential. Why? Because even the smallest tweak could help nudge visitors over the line to complete the action you desire. If your new site hasn’t launched yet, you won’t be able to use standard landing page or A/B testing, where one version of your page is served to some users and a second version to another, to judge which performs better. You can however perform an internal A/B test. Approach it in the same way. Set up two identical pages and then change the call to action on one page. Send the links to your colleagues, friends, family – even a select group of customers – and solicit their responses. This will at least get you started on the path to CRO and may bring some useful comments and feedback to light before your site launches. If your site is actually live, even if it’s just gone up a few scant days ago, you can begin testing your call to action immediately. This is something you should do right away, ensuring your call to action is as strong and motivational as possible from the outset. In addition to testing the language used for your call to action, you should also rotate between testing different types of calls to action, such as text links and more visually appealing buttons. Even though many of us are entirely comfortable shopping online, and Millennials and Generation Z have grown up with online ordering, the importance of displaying physical contact information on your new site shouldn’t be underestimated. Even if you only trade online and don’t have a bricks and mortar location, you should display a customer service phone number and email address prominently on your new site. Check that your phone number appears on the homepage in a large font, isn’t hidden away and is easy to locate no matter which page a visitor may initially land on your site. Likewise, check that it is also displayed on your contact page and that you provide an email address as well as a contact form. Making contact information prominently available is a CRO basic but, it’s amazing how many sites omit this core detail. A phone number adds authenticity and gives peace of mind – after all, no-one wants to blindly hand over personal data and credit card information with no visible means of contacting the vendor other than an anonymous contact form with no direct contact info. Anything you can do to instill trust in your visitor can help push your conversion rate upwards. Even if as a new business you don’t have a ton of reviews to share just yet, simply adding a relevant review badge, letting your customers know you are accountable and do welcome feedback, provides peace of mind. If your business uses a particular method of data security to protect customer details, is part of a trade organization or nationwide service such as the Better Business Bureau, adding those seals to your website can build trust and credibility – all essential to increasing conversions. Images are part of the fabric of your site and should be used for more than mere design purposes or to break up chunks of text. If you want to help your new site get off the starting blocks and win over customers quickly, review your image selection. Look in particular for images in headers and sidebars – do these pictures push your visitors towards a conversion? Do they make offers clear? Highlight benefits? And communicate limited time deals such as free shipping, storewide discounts or limited edition products? If not, landing page testing should be used to help select more appropriate images which are aligned with your conversion goals. 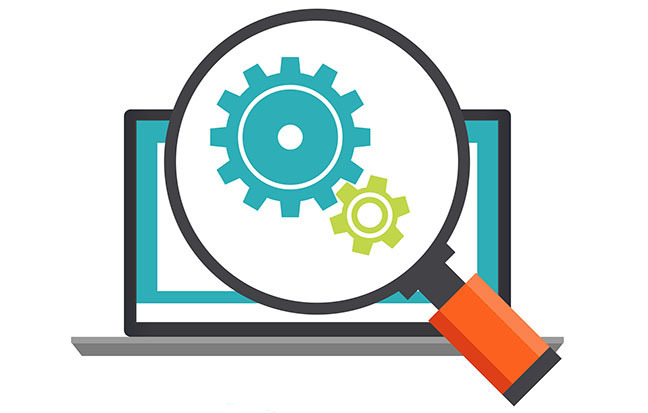 As with any type of testing, CRO for new websites also requires measurement, analysis and a trial and error approach. Accept that you aren’t going to get it right first time. Even when you do make a change that nudges your new site a little closer to your short term conversion goals, there’s always an additional tweak you can make to further improve on it.